Mother of all Meltdowns is a year older! It’s hard to believe but our book has had another birthday! Just like with our real baby, time has flown by and we find ourselves in denial about where the time has gone. We are so excited to have been part of this book and its stories from mom’s that truly understand how hard parenting is. When you’re pregnant, everyone offers tons of helpful advice and loving moments that are sure to melt your heart. You really start to believe that life will be as perfect as it’s depicted on TV. What you realize quickly is that there are moments, often many moments, in which you will feel defeated and ready to give up. A mom can only take so much before a meltdown occurs. And trust me, a meltdown will happen. Beloved’s smiling face stares at me from across the room and I know the truth. She now holds her future in her hands. This seemingly inconsequential piece of paper offers her the most coveted treasure of children her age: freedom. Freedom to drive herself to the mall, freedom to get a job that requires transportation, freedom to grab a movie with friends and in the near future; freedom to leave her childhood home as she starts her own journey in life. Leaving is imminent. No matter where we meltdown, hearing that all mom’s experience this; will get you through. Celebrate our birthday with use and grab your copy. Buy it here! 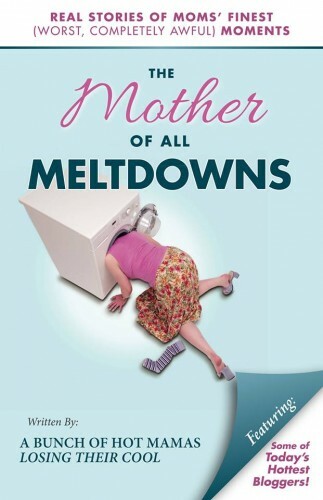 Meet all of the authors on The Mother of all Meltdowns website and enjoy the book!